Where Does Your Organization Fit? 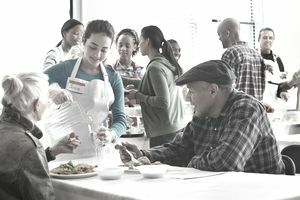 Nonprofits are ubiquitous in the US. Yet, people rarely understand how various nonprofit organizations are organized, are recognized by the IRS, or what they do. If you are confused about nonprofit organizations and how they differ from for-profit entities, don't feel too bad. We tend to lump all nonprofits into one heap, when, in fact, there are several types of nonprofits. The IRS recognizes 29 types of nonprofit organizations. They are, to one degree or another, exempt from federal taxes and many state taxes. And each type is different when it comes to eligibility, lobbying, electioneering, and tax-deductible contributions. A separate subsection of the 501(c) section of the tax code rules each type of nonprofit. With so many types of nonprofits, they are hard to avoid. For instance, the daycare where your child may spend his days is a 501(k) nonprofit. The Chamber of Commerce your small business might belong to is a 501(c)(6). And the credit union where you bank might be a 501(c)(1). However, the most common type of nonprofit organization is 501(c)(3). These are the nonprofits we most commonly contribute to, volunteer for, and hear about through the media. We most likely think about the 501(c)(3) classification when we do our taxes Was that donation made to a tax-exempt nonprofit charity or not? Here is a list of many of the most common types of nonprofits that the IRS recognizes. The one common theme for all nonprofits is that they are not organized solely for profit. They instead serve a social purpose. The following information comes from IRS Publication 557, your bible if you are considering filing for nonprofit status. Also, IRS Publication 526 provides information about which of these organization can accept tax-deductible contributions. Check out these publications for more specific details on nonprofit classifications. These are corporations organized under Act of Congress. Federal Credit Unions are an excellent example of this type of nonprofit. These nonprofits do not have to file an annual return. Tax-exempt contributions are allowed if they are made for exclusively public purposes. These are holding corporations for exempt organizations. That is, they can hold title to the property of an exempt group. They apply for nonprofit status using IRS form 1024. They annually file forms 990 or 990EZ. This is the most common type of nonprofit. It includes organizations that are religious, educational, charitable, scientific, literary, groups that test for public safety, organizations that foster national or international amateur sports competition, or organizations engaged in the prevention of cruelty to children or animals. This type of nonprofit applies for its status using IRS form 1023 and files annually Form 990, 990EZ, or 990-PF. Contributions are usually tax-exempt. A private foundation. These are nonprofits that don't qualify as public charities. Foundations may be sub-classified as private operating foundations or private non-operating foundations and receive some of the advantages of public charities. Well-known foundations include the Rockefeller Foundation, Bill and Melinda Gates Foundation, and the Getty Foundation. Or a public charity. These are the organizations to which we typically donate. Well-known public charities include the Red Cross, Easter Seals Society, and Best Friends Animal Sanctuary. These are civic leagues, social welfare organizations, and local associations of employees. They promote community welfare, charitable, education or recreational goals. They apply using IRS Form 1024. They file annually 990 or 990EZ. This type of nonprofit is often confused with the 501(c)(3). But they are very different, especially regarding permissible political activity. Labor, agricultural, and horticultural organizations fit under this classification. They are educational or instructive, to improve conditions of work, products, and efficiency. They apply by using IRS Form 1024, and file annually form 990 or 990EZ. These organizations are business leagues, chambers of commerce, real estate boards, etc. They seek to improve business conditions. They apply using IRS form 1024 and file the 990 or 990EZ annually. Social and recreation clubs fall into this category. They promote pleasure, recreation, and social activities. They apply using IRS form 1024 and file the 990 or 990EZ annually. This category includes fraternal beneficiary societies and associations. They provide for the payment of life, sickness, accident, or other benefits to members. They apply using IRS form 1024 and file the 990 or 990EZ annually. These are voluntary employees' beneficiary associations. They provide for the payment of life, sickness, accident, or other benefits to members. They apply using IRS form 1024 and file the 990 or 990EZ annually. Domestic Fraternal Societies and Associations. A lodge devoting its net earnings to charitable, fraternal, and other specified purposes. No life, sickness, or accident benefits to members. Apply using IRS form 1024 and file the 990 or 990EZ annually. Teacher's Retirement Fund Associations. Associations for payment of retirement benefits. Apply using IRS form 1024 and file the 990 or 990EZ annually. Cemetery Companies. Uses Form 1024 for an application. Files annually the 990 or 990EZ. State Chartered Credit Unions, Mutual Reserve Funds. Loans to members. No application form. Files annually the 990 or 990EZ. Mutual Insurance Companies of Association. Provide insurance to members, mostly at cost. Applies using Form 1024. Files annually the 990 or 990EZ. Cooperative Organizations to Finance Crop Operations. Finance crop operations in conjunction with the activities of a marketing or purchasing association. No form to apply. Files annually the 990 or 990EZ. Supplemental Unemployment Benefit Trusts. Provides for payment of supplemental unemployment compensation benefits. Applies using Form 1024. Files annually the 990 or 990EZ. Employee Funded Pension Trust (created before June 25, 1959). Payment of benefits under a pension plan funded by employees. No form. Applies using Form 1024. Files annually the 990 or 990EZ. Post or organization of past or present members of the armed forces. Activities according to the nature of the organization. Applies using Form 1024. Files annually the 990 or 990EZ. Group Legal Services Plan Organizations. Black Lung Benefit Trusts. Funded by coal mine operators to satisfy their liability for disability or death due to black lung diseases. No form for filing. Reports on tax form 990-BL. Withdrawal Liability Payment Fund. Provides funds to meet the liability of employers withdrawing from a multi-employer pension fund. No form to file. Tax forms 990 or 990EZ. Veterans organization (created before 1880). Provides insurance and other benefits to veterans. No form to apply. Uses tax forms 990 or 990EZ. Title Holding Corporations or Trusts with Multiple Parents. Holding title and paying over income from property to 35 or fewer parents or beneficiaries. Applies with form 1024. Files tax forms 990 or 990EZ. State-Sponsored Organization Providing Health Coverage for High-Risk Individuals. Provides health care coverage to high-risk individuals. No form for applying. Files tax forms 990 or 990EZ. State-Sponsored Workers’ Compensation Reinsurance Organization. Reimburses members for losses under workers’ compensation acts. No form for applying. Files tax forms 990 or 990EZ. Religious and Apostolic Associations. Regular business activities. Communal religious community. No application form. Files tax form 1065. Cooperative Hospital Service Organizations. Performs cooperative services for hospitals. Use 1023 to apply. Files tax forms 990 or 990EZ. Cooperative Service Organizations of Operating Educational Organizations. Performs collective investment services for educational organizations. Applies with form 1023. Files tax forms 990 or 990EZ. Child Care Organizations. Provides care for children. Apply with 1023. Files tax forms 990 or 990EZ. Charitable Risk Pools. Pools certain insurance risks of 501(c)(3). Apply with form 1023. Use tax forms 990 or 990EZ. Farmers’ Cooperative Associations. Cooperative marketing and purchasing for agricultural producers. Applies using Form 1028. Tax form 990-C.